Even if you have the best computer case with a top-notch graphics card and fast RAM it means nothing without a monitor. That’s obvious. But when you start looking for a new monitor you realize that everything is more than just obscure. The variety of monitors is great and it’s quite a tough task to choose the best one. Thus, we have compiled the list of the best 1440p monitors which vary in their prices and characteristics. What is more, below you can find some tips which will help you select a perfect monitor to suit your PC. Selecting a monitor which is a pinnacle of technology always take into account its display size. The next thing you should remember to check is refresh rate. It affects the image quality and if you care about it then look for a monitor with a high one. 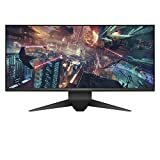 When possible go for a 144-165 Hz refresh rate. By the way, you can always check the refresh rate of your computer using this test. Performance speed depends on the response rate. The higher it is the faster your monitor will work. 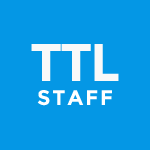 Response rate usually varies from 4 to 1ms. The latter one is the best figure you can get out of modern monitors. Another important issue is the number of ports. Not all of the monitors are rich in USB or any other ports. Some of the models can have only one port. Besides, check whether a chosen monitor supports VESA, Low Blue Light feature or any eye-care technology. If the monitor you are looking for must be suitable not only for reading Word files but for something more exciting like Need For Speed or Assassin’s Creed, then Acer Predator XB271HU is one of the items we recommend to choose from. 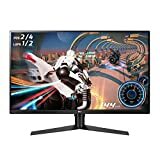 This 1440p gaming monitor is a combination of IPS panel, 144Hz refresh rate (Overclocking to 165Hz) and NVIDIA G-SYNC technology. The last one, by the way, is responsible for the reduction of screen tearing. In addition to this, there is un ULMB (Ultra Low Motion Blur) technology that makes all the motion scenes sharp, accurate and smooth. Note that this monitor also takes care of your eyesight as there is a built-in eye-protection. Besides, due to its Acer ErgoStand you can tilt the monitor as you wish to find the most suitable position for comfortable viewing. It’s one of the most responsive monitors on our list. 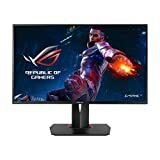 ASUS ROG Swift PG278QR has 165Hz refresh rate that comes with 1ms response time. These features guarantee not only high FPS and fast performance but also minimum of visual blurs. ROG Swift is designed with NVIDIA G-SYNC display technology for smooth and lifelike images. By the way, due to this technology GPU of GeForce GTX-powered PC and refresh rate are synchronized what results in the reduction of screen tearing and input lag. Having Asus ROG Swift you will also forget about often display stutters. And here’s a special option for gamers – ASUS-exclusive GamePlus technology, thanks to which you can get maximum out of your monitor and enjoy gaming to the full. 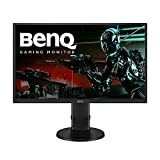 If you need the best 1440p monitor for a reasonable price then have a look at BenQ GL2706PQ. Except for being a budget monitor, it is also fast and stylish. This monitor comes with a quick response at 1ms and 2K resolution. The latter one provides clear and sharp images which are important for playing games and watching videos. 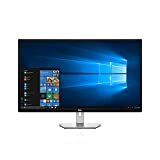 Note that this monitor is also designed with Zeroflicker Technology and Low Blue Light feature for convenient and safe viewing from different angles. Besides, there are built-in speakers and its stand is quite adjustable. Another 1440p monitor to consider is MSI Optix MAG27CQ. Its display comes with 1800R curvature rate and is perfect for gaming PCs. There is a 144Hz refresh rate and 1ms response time. Such combination means fast performance which is a priority for first-person shooters and real-time strategies. MSI Optix MAG27CQ is equipped with Adaptive Sync technology that provides smooth image and reduces screen tearing. What is more, this monitor can tilt at 180º to make you feel comfortable every time you sit in front of it. The Acer XF270HU is one of the best 27’’ 144Hz gaming monitors out-there, boasting WQHD (2560 x 1440) native resolution, a TN panel and AMD’s FreeSync technology. Connection wise, this little gem (also very affordable for what it is) has 1x display Port 1.2 and 2 x HDMI Ports, which is quite enough for most users. There are also two 2-watt built-in speakers, but don’t expect miracles here, as they’re basically tweeters which sound…meh. But here’s what’s really important about this 1 ms response time zero-frame design monitor, which looks awesome by the way on your desk, and allows you to place 2-3 monitors side by side, thus creating an awesome and seamless big-screen Star Trek-like display: the 144Hz thing. Once you’ve played your favorite title in 144Hz, you’ll never go back to 60Hz again, and you’ll understand that we have a right to 144Hz gear, i.e. everything is incredibly smooth, and plays better that way. 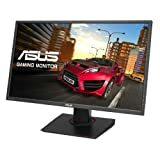 Need the best monitor for gaming? AOC AGON AG271QX is at your service. 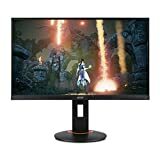 This monitor is not only the best one for gamers but also a nice option for those who is looking for something budget. Its 27-inch TN Panel comes with 144 Hz refresh rate and 1ms response time what means lag-free gaming. Thanks to Quad HD you can also enjoy excellent image and video quality full of details and lifelike colors. AOC AGON AG271QX has got several outputs (VGA, DVI, DP, HDMI-MHL) including four USB ports (2 USB 3.0 and 2 USB 2.0). It also supports Windows OS (up to version 10) and FreeSync. Note that due to Adaptive-Sync Technology this monitor is able to deliver fast performance and pleasant gaming experience. It synchronizes the GPU and the monitor what results in the reduction of such unpleasant things as tearing and stuttering. As well as a pre-cited monitor this one has 144 Hz refresh rate and Adaptive-Sync Technology for smooth image. One of the reasons to choose ASUS MG278Q is its Eye Care Technology that combines TUV certified Flicker-Free technology and Blue Light Filter. You can select the mode of Blue Light Filter depending on what you are going to do – watch a movie, play games or just surf the net. The result of such technologies is less eye fatigue, strains and irritation. Besides, it has got a very adjustable and ergonomic design, so you can regulate its height and choose a suitable angle. This will make the time spent in front of it a pleasant experience. Dell is the holy-cow of the IT world, and their S-series S3219D makes for the ideal entry-level every-day monitor which delivers a lot of bang for the proverbial buck asked. If you’re into casual gaming, the S3219D would also do the trick, as its 60 Hz refresh rate is quite adequate for “normies”; to sweeten the deal, you’ll also benefit from AMD’s FreeSync technology, which supports refresh rates between 48 and 75 Hz, along with a respectable 5 ms response time. We are aware that these are not the best/fastest specs you’ve seen in this niche, but keep in mind that what you’re dealing with here is a “jack of all trades” budget-oriented gaming monitor, not an alien spaceship. As we already told you in a previous piece, tech specs are not always telling the whole story and the same stands true for this Dell S-series. The truth is, color quality/accuracy/overall image quality on this monitor is very good for the price asked, as its VA panel boasts an excellent 3,000:1 contrast ratio and covers 99% of the sRGB color gamut. And since image quality should be the primary “metric” to look after in a monitor, we are definitely recommending this Dell to any budget-conscious gamer who looks for a great piece of hardware at bargain prices. ViewSonic VX2478-SMHD has got a top-notch IPS panel, which delivers clear and accurate images. Note that you can enjoy a high-grade video or play your favorite game from any angle as this 24-inch monitor provides both 178º horizontal and vertical viewing angles. Another thing you will like about this monitor is its connectivity. 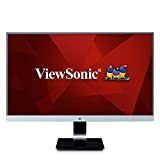 This ViewSonic item is compatible with laptops as well PCs and Macs. Besides, it supports HDMI 1.4, DisplayPort, and Mini DisplayPort inputs. There are also built-in dual speakers. On the whole, it’s a durable model with great display quality at a reasonable price. What is more, thanks to its frameless design it looks stylish and elegant. If you one of those who like screen details then this monitor was created namely for you. Dell S2417DG YNY1D comes with a high-grade NVIDIA G-Sync technology that guarantees fast 165Hz refresh rate at 1ms response time. Its QHD resolution will surprise you with breathtaking lifelike graphics as well. Note that it’s a flicker-free screen that is deprived of such unpleasant things as stuttering and ghost images. Thanks to its ultra-thin bezel this Dell monitor provides a perfect image which isn’t restricted by a chunky frame. It also supports both dual and multi-monitor setup. Another great thing is that this monitor is highly adjustable what guarantees comfort in use. 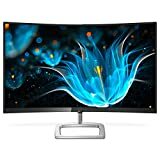 The Samsung LC32JG50QQNZA is an interesting piece of gaming hardware, making for a 32’’ curved monitor with WQHD resolution (2560 X1440 pixels). And what’s most interesting of all is that Samsung will not ask you to break the piggy bank for this little monster. On top of the huge/curved screen real estate, you’ll get 144Hz refresh rate, which is awesome for both gaming and cinema aficionados, and Samsung’s best VA technology, i.e. the panel boasts a 3000:1 contrast ratio, which in real life translates into deep blacks, brighter whites and excellent color reproduction. Did we mention that this 32 incher is curved? Just kidding, but you should know there’s no better gaming experience in terms of involvement and realism than playing on a curved display. The Dell Alienware AW3418DW is exactly what you’d expect from a high-end (thus expensive) curved gaming monitor: huge 34.1’’ screen real estate, which offers an amazing and immersive experience for both movies and gaming in WQHD 3440 x 1440p res, 4ms 120Hz Overclocked Refresh Rate, 21:9 aspect ratio and the cool NVIDIA G-Sync feature. Basically, this baby comes with all the technological bells and whistles required by professional gamers, and then some (the curved thing). Truth be told, Alienware and high performance are quasi-synonymous, and the AW3418DW stands true to this concept, as it makes for one of the fastest ultrawide aspect ratio/curved gaming monitors in the industry. So, if you’re looking for the best of the best, this Alienware piece of gaming gear should be on your short list, money no object and all that jazz. In a word, it’s one of the best ultra-wide monitors you can get. 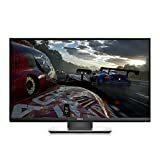 Even if Philips has sold its display panel manufacturing division to LG a few years ago, they’re still alive and kicking, and the 328E9FJAB is solid proof of life, making for a huge 32’’ curved and bezel-less gaming monitor, boasting Quad HD 1440P resolution, FreeSync technology, 122.6% sRGB & 102% NTSC, plus all the ports one could wish for: HDMI/DisplayPort/VGA, with VESA on top. And, most importantly, the price is quite reasonable for a 32’’ curved gaming monitor. The display panel is a VA variety and benefits from the company’s Ultra Wide-Color technology with 122. 6% serge & 102% NTSC color gamut coverage. There’s also a Low Blue mode, to reduce that obnoxious blue-light, while Philips’ patented flicker-free technology reduces eye fatigue during prolonged gaming sessions and also optimizes brightness. Next on the list, there’s the LG 32GK650F-B, making for yet another 32-inch QHD (2560 x 1440 pixels) gaming monitor coming from one of the most reputable tech companies out there. And speaking of gaming, this LG boasts 144Hz Refresh Rate and Radeon FreeSync Technology, i.e. your game-play will benefit from the clearest and smoothest experience money can buy. And we’re not talking about bags of money either, as the LG 32GK650F-B is quite affordable all things/specs considered. Bottom line, if you’re in for the kill, looking for an affordable 32-inch gaming monitor, this LG should be on your short buying list. There are plenty of 1440p monitors to choose from. The best one will be suitable for completely different activities. It will allow you to enjoy vivid photos from your last trip as well as participate in the battles of your favorite game.